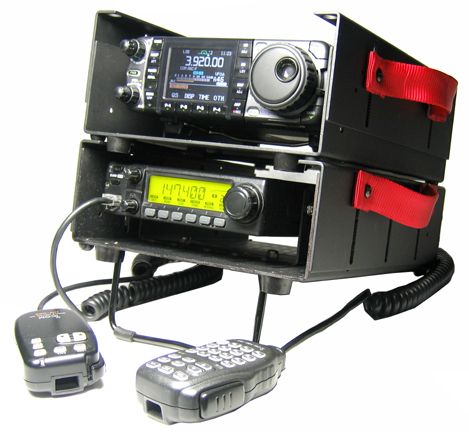 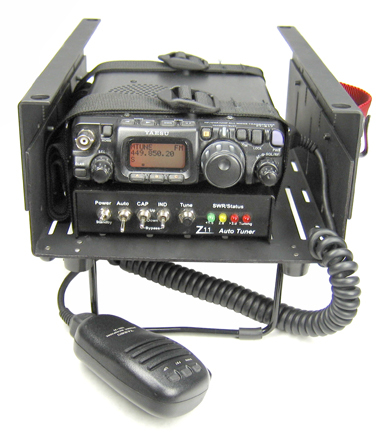 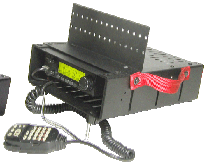 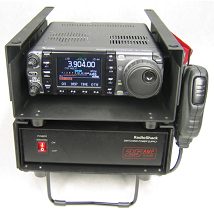 w The Tactical Radio Carrier (TRC-1) allows you to protect, organize, transport and use your radio and accessories. 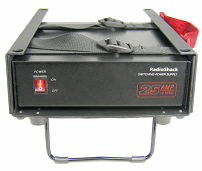 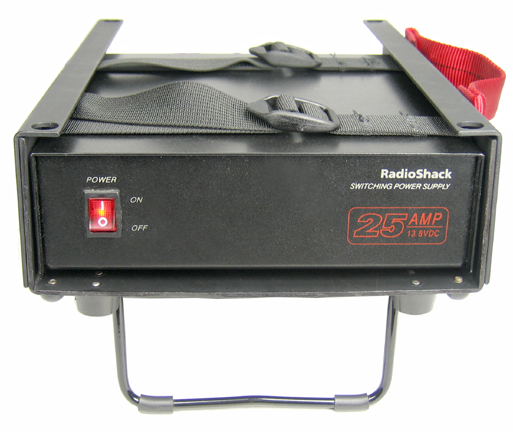 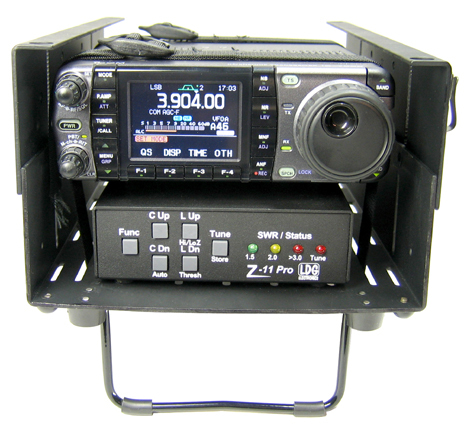 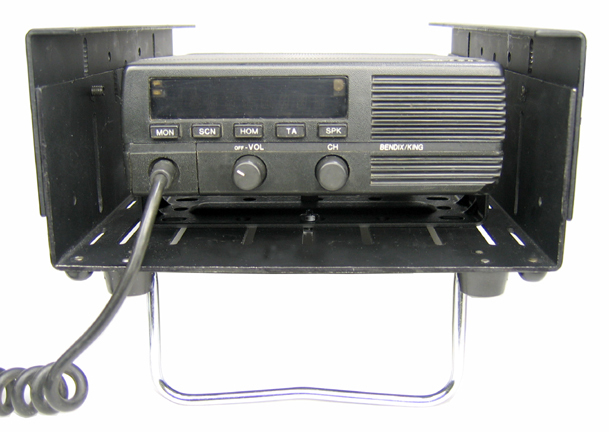 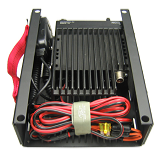 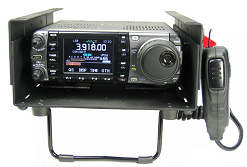 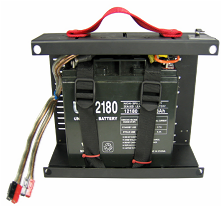 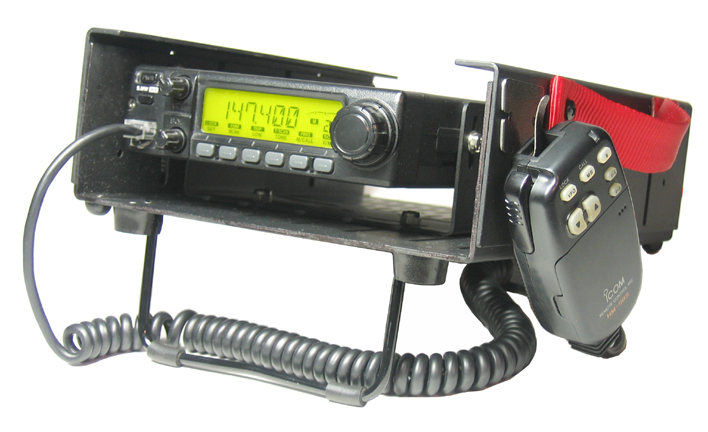 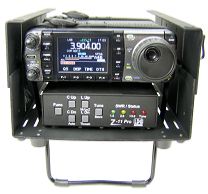 w Mount your radio in the carrier with the supplied machine screws and nuts or with optional web strapping. 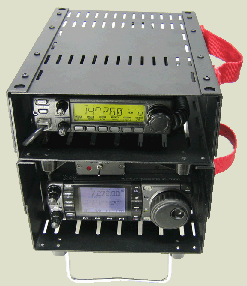 w Keep the radio, microphone, and power cable packed, ready for deployment. 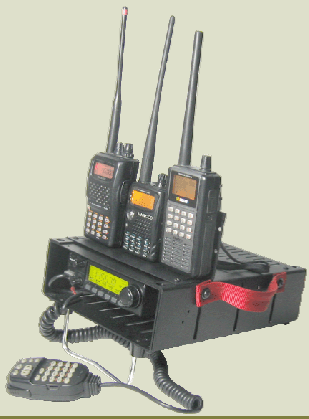 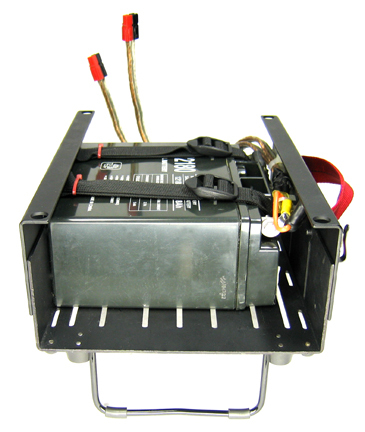 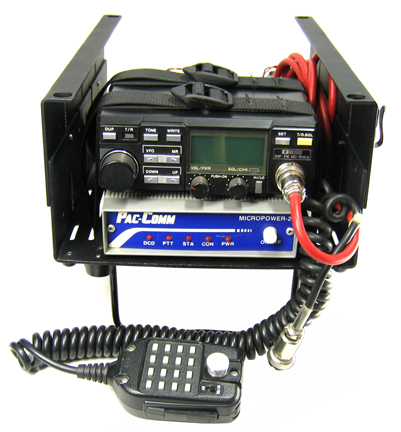 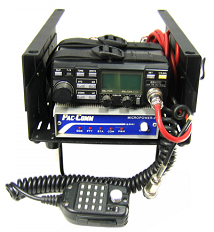 w Convenient table-top, car hood, operation with tilt bail and stacking of multiple radios and/or power supplies. 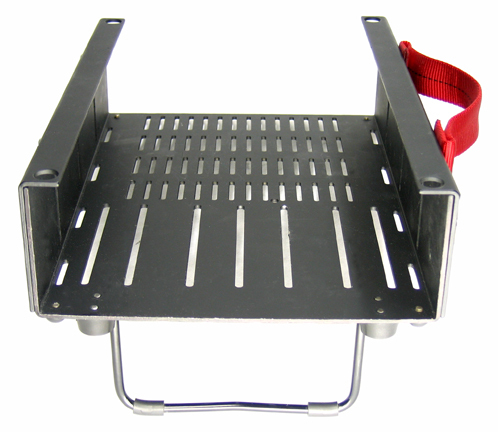 w Strategically placed slots provide for ventilation, sound from speakers and access for web straps for fastening accessories. 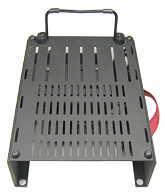 w Eight matching (black pan head) screws are provided with the cover. 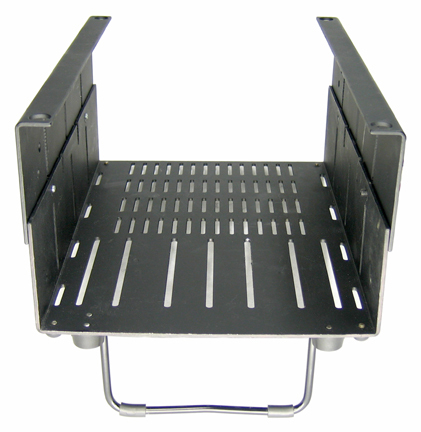 w The fold down tilt stand will not stack on top of a cover plate. 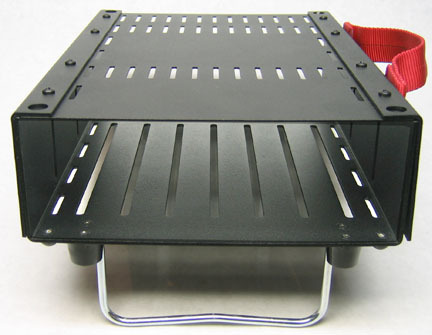 The stand extends down below the rim of the carrier on which it is set. 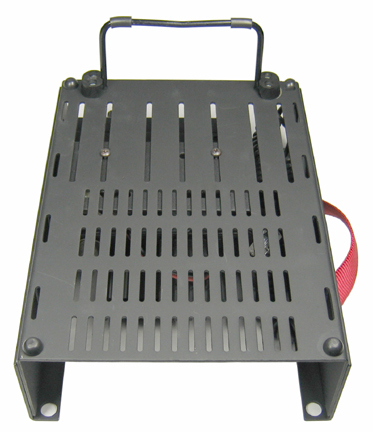 If desired, the stand can be easily removed by removing four screws. 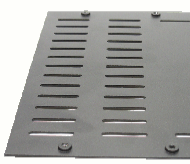 The rubber feet will nest and fully engage when the cover plate is installed with the nuts facing up. 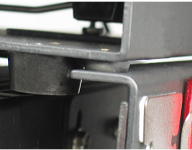 w PLEASE NOTE - Very early versions of the TRC-1 do not have the four holes along the top surface of the extendable sides required to fasten the cover plate. 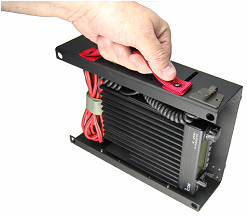 Please check your units(s) before ordering a top cover. 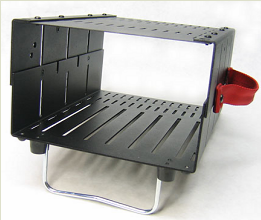 The user can easily drill holes if desired. 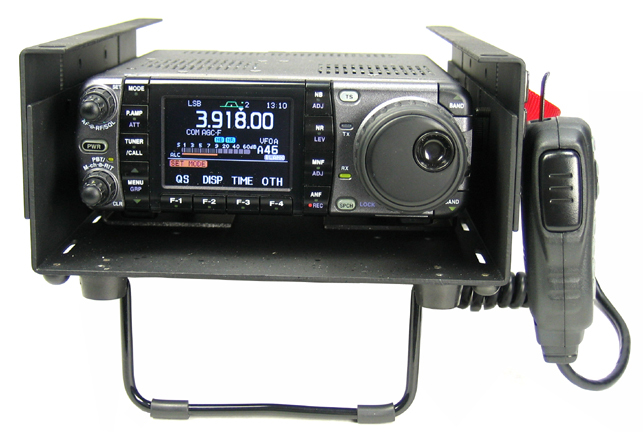 w Dimensions (Internal) HWD 4.8 x 7.5 x 10.5 Inches. 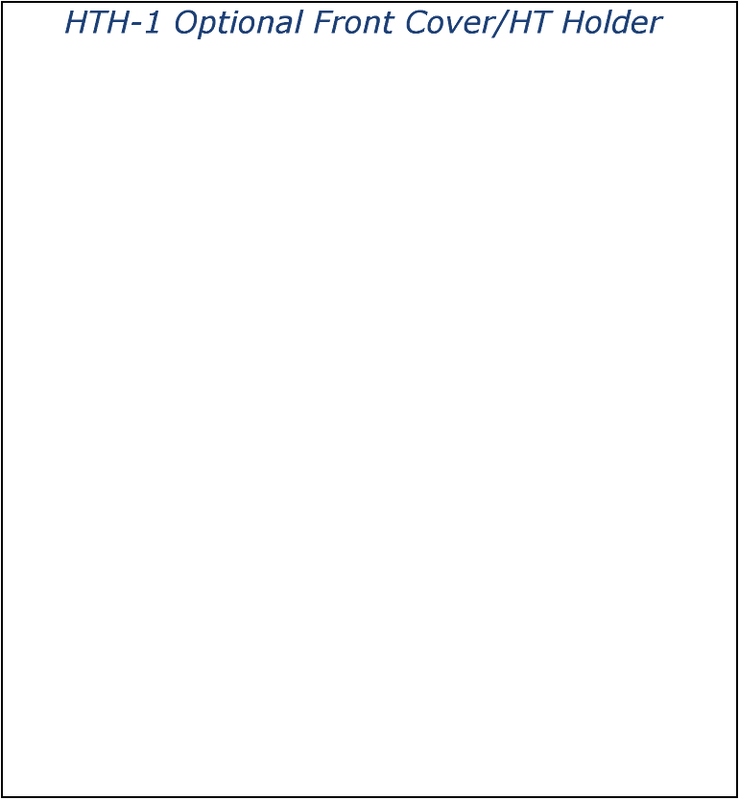 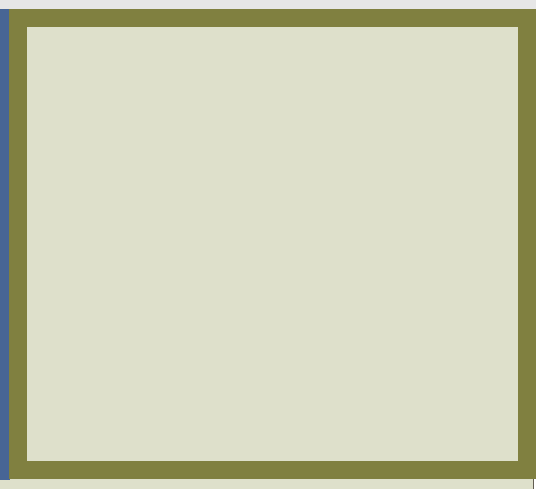 Click here for dimensioned drawing. 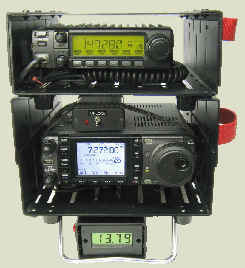 w Finally a way to keep HTs in an upright positon for ease of viewing and preventing the HT from being knocked over (their default position). 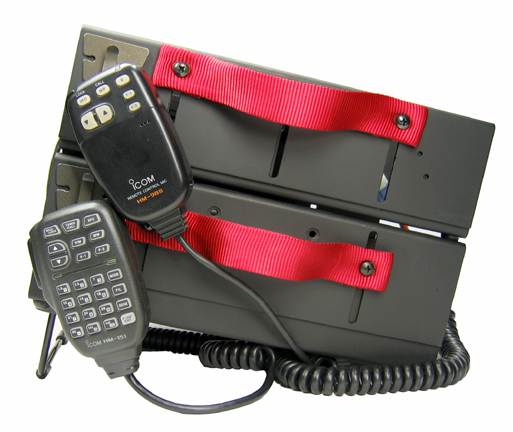 Securely held in place allowing single handed operation of volume and frequency controls. 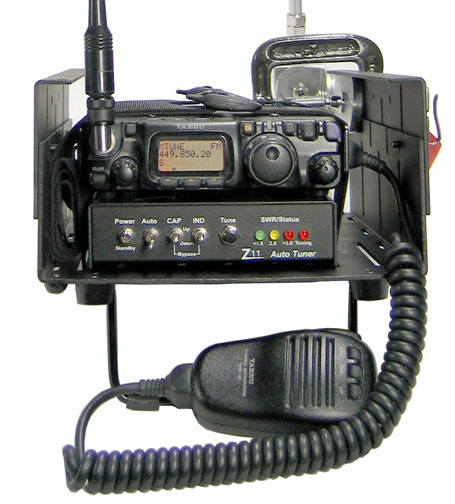 It will even keep the HT in place when using a speaker/microphone. 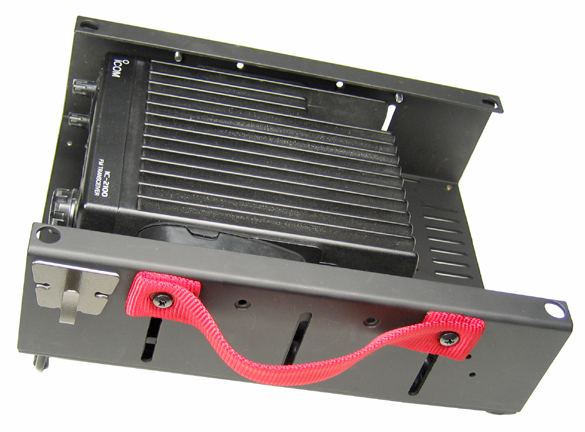 w Optional dual purpose HT holder/Front cover bracket. Designed to serve as a Front cover during transport to protect the radio and then easily re-positioned to hold HTs and other radios while operational. 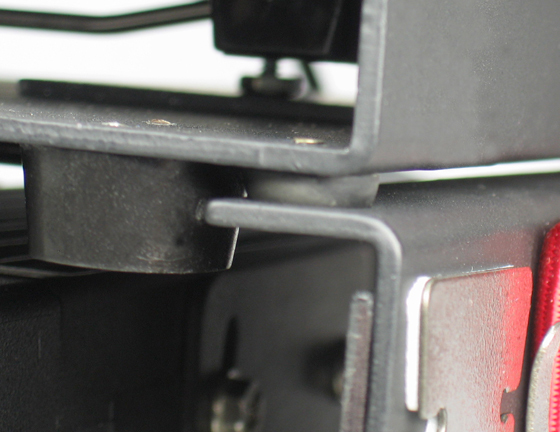 w HT belt clips slip easily over the vertical portion of the bracket to provide secure mounting. 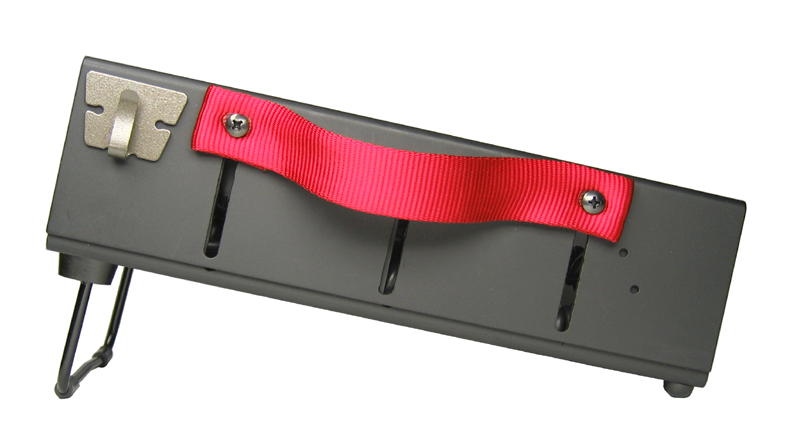 w Can also be used to hold pens, pencils and post-it notes. 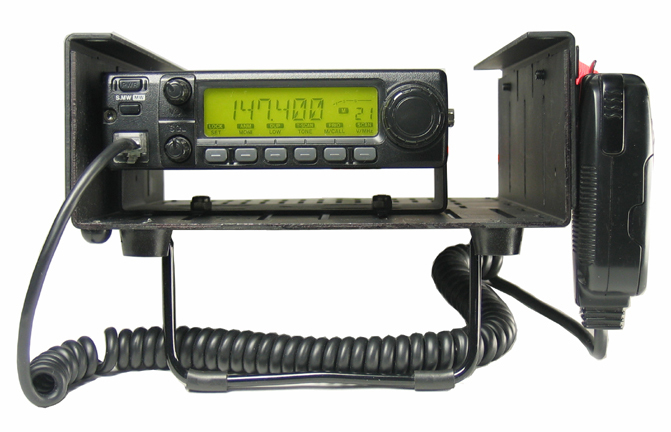 Is this the worlds most expensive HT Holder? 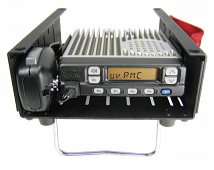 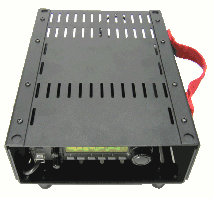 Maybe.....if that is all you use it for, but if you mount mobile radio(s) and/or tuner, TNC, power supply in the TRC-1 carrier to protect, organize and package your investment and make it more convienent to deploy and operate then just maybe it's a bargin.